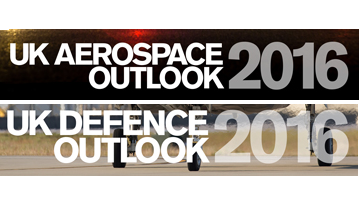 Annual data released today by ADS Group shows that 2015 was a year of growth for the UK’s Aerospace and Defence industries; they each made a significant economic contribution, supporting hundreds of thousands of high skill, high value jobs nationwide. Both industries saw a rise in turnover and productivity continues to outpace national levels by a considerable margin. The strong figures are a reflection of growing global demand with UK companies well-placed to compete and grow. The data comes days ahead of the Farnborough International Airshow. This global business event is expected to bring a record number of international customers to the UK including the largest ever presence from the US and China. The Airshow is the opportunity to showcase the world-class innovation, engineering and manufacturing capabilities of UK industry. The Aerospace industry exported goods to the value of £27bn; Europe, North America and the Middle East remain the three largest export markets. Exports were £8.5bn in 2014, with an average valueof £7.7bn between 2010-2014. Paul Everitt, CEO of ADS Group says: “The Farnborough International Airshow is a platform to showcase the strength of UK industries to global customers. The show will be an important opportunity for the government to signal that our country remains open for business and committed to creating the best possible environment for world-leading industries. “The UK’s Aerospace and Defence industries are increasing their contribution to the UK economy and helping to meet increasing global demand. This success has been underpinned by Government’s modern approach to industrial strategies. Post-referendum, UK companies aim to preserve unfettered access to the EU single market and will be encouraging Government to help sustain investment in skills, technology and new plant and equipment.